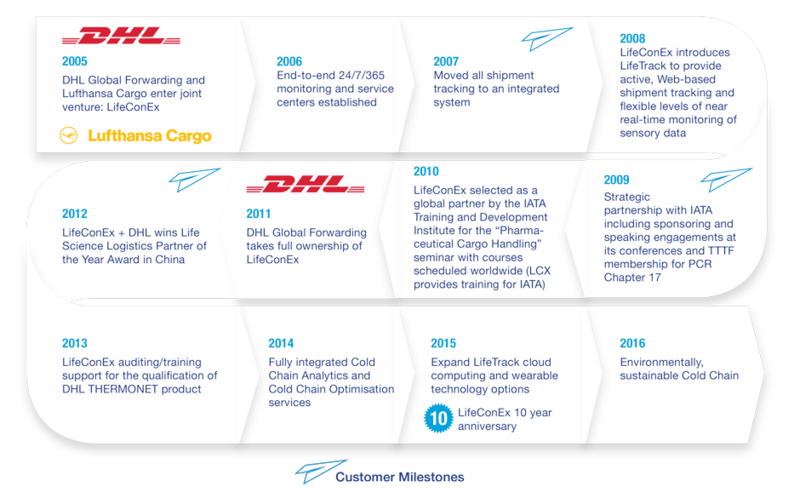 LifeConEx, DHL’s temperature management specialist, enables clients of all sizes to transport temperature-sensitive products globally in the most optimal and efficient way possible. We combine proprietary technologies, such as LifeTrack and in-transit sensors, with expert analysts, advisors and auditors to deliver end-to-end visibility, monitoring and management of your cold chain. We ensure breakthrough research samples and life-saving, life-enriching and life-enhancing products are delivered to the people who need them most. By the same token, our goal is to put minds at ease. If you choose LifeConEx, you’re free to concentrate on other things. There’s no worry. Even if something unforeseen or adverse happens, we’ll be there to intervene — LifeConEx it & Live Your Life.